The Fascinating World of Birds was awarded Dr. Toys 100 best products of the year award. The video also won the distinction of Dr. Toy’s 10 Best Audio-Visual products for 2012. This award for the Birds video comes after our Insect and Mammal videos won Dr. Toy’s 2012 Best Vacation products award earlier this year. It is great to see BrainFood Learning DVDs win such prestigious awards. The Dr. Toy’s program is produced by experienced toy industry professional, Dr. Toy, well-qualified Child Development Specialist (MA and Ph.D. in Special Education and Child Psychology) who focuses on unique, high quality, active, creative, and educational products. The Dr. Toy’s program is now in its 20th year. As an award winner, BrainFood Learning is recognized by Dr. toy as one of the “cutting edge” companies providing the most innovative, developmentally appropriate products for children. 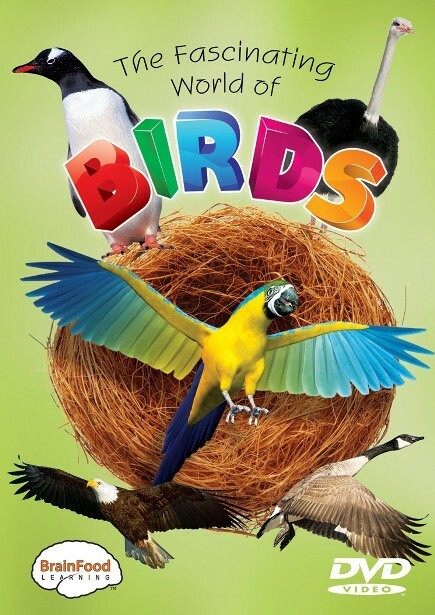 The Fascinating World of Birds is part of an outstanding DVD series designed by BrainFood Learning to build confidence in science through fun and interesting content. The video advances a child’s education by showing amazing video footage along with narration describing bird features and abilities. It is appropriate for kids of all ages. Each bird is clearly identified and shown in their natural habitat keeping children engaged. More advanced children will enjoy learning more complicated concepts such as depth perception. It helps answer questions such as, Why an ostrich eats rocks? How a robin gets its worm? Which bird’s call is as loud as a chainsaw? Your young ornithologist will learn the answers to these questions and more. Birds featured in the video include ostrich, penguin, Canada goose, owl, hummingbird, woodpecker, macaw, pelican, American robin, and eagle. This well made and informative video is ideal for home and school. A multi-section review reinforces information presented earlier in the video. This is a great educational tool. The beginner level reviews show bird flash cards and points out what features are common among all birds. The more advanced levels quiz children on bird facts and broader scientific terms related to birds. It is nice to see our work has been selected by a toy expert known for choosing products focused on child development and learning. 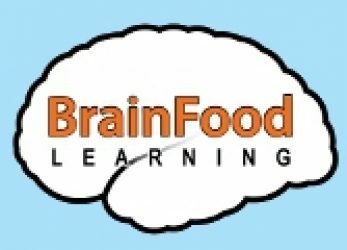 BrainFood Learning has been recognized for its work on the first two videos released in the “Fascinating World of..” series. The Fascinating World of Mammals and The Fascinating World of Insects have been awared Dr. Toy’s Best Vacation Products Award. Products are carefully selected from among many hundreds Dr. Auerbach reviews at toy fairs, catalogs and through many sources, and by using extensive criteria developed over many years (including safety, age-appropriateness, design, durability, play value, cultural and ethnic diversity, transition from home to school, educational value, learning skills, creativity, understanding community and world, good value for price, and, naturally, fun). The Fascinating World of Insects advances a child’s education by showing amazing video footage along with narration describing insect features and abilities. This format is designed to expand a child’s vocabulary as the video content grabs the viewer’s attention and the vocabulary is absorbed and is appropriate for kids of all ages. Each insect is clearly identified and shown in their natural habitat keeping children engaged. More advanced children will enjoy learning larger concepts such as metamorphosis. The video is the perfect companion for trips to the zoo, park or even the backyard and is perfect for home and school and answers some of these questions: How do bees make honey? How is the light from a firefly different from that of a lightbulb? How does a caterpillar become a butterfly? Insects featured in this animal video include grasshopper, ladybug, rhino beetle, firefly, mosquito, honey bee, water strider, ant, praying mantis, dragonfly, and butterfly. A multi-section review reinforces information presented earlier. The beginner level reviews show insect flash cards and parts of an insect. 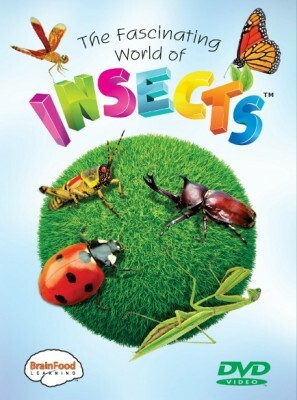 The more advanced levels quiz children on insect facts and broader scientific terms related to insects. This new and innovative video series builds confidence in science through fun and interesting content with amazing content along with narration describing mammal features and abilities. 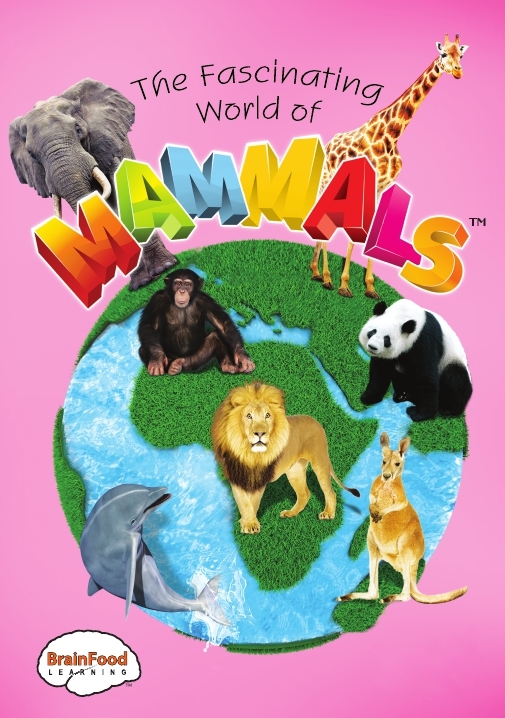 This format is designed for all ages as it helps to expand a child’s vocabulary as the video content grabs viewers Each mammal is clearly identified and shown in their natural habitat and as child grows will learn larger concepts such as echolocation and many interesting facts about mammals from Africa, Asia and Alaska. This is a useful guide in preparation for a trip to the zoo or wildlife park. The vidoe helps to answer questions like: How does a beaver build a dam? Which mammal wears velvet? Which animal is the only flying mammal? Mammals include beaver, kangaroo, moose, dolphin, lion, giraffe, elephant, bat, chimpanzee, and bear and is ideal for home and school. The beginner level reviews show mammal flash cards and what features are common among all mammals. The more advanced levels quiz children on mammal facts and broader scientific terms related to mammals. At BrainFood Learning we always look forward to feedback about our animal videos. The feedback usually comes from parents or grandparents of young children after watching our animal DVDs. However, we received a nice letter from an eleven year old after she and her siblings watched the Fascinating World of Insects DVD. This type of review affirms our belief that our animal videos appeal to kids across a broad age range. We are excited to see that this age range extends from 2 up to 11 years of age. The review is below. The Fascinating World of Insects: I loved everything about this film! The voiceover was great, both voices were really friendly. I thought the big words were really cool, I learned a lot of new words today! I loved the pictures, they were really big and colorful and you could really see what the insects look like up close. The video clips were so amazing; I really enjoyed watching all the insects up close. I learned a lot with this video, I think it’s really educational. Teachers should definitely use this video in the classroom. The quiz at the end was a really good idea. When kids watch this, they will be able to refresh their memory of all the new things they learned! My favorite part was the music! The music was so cute and happy it was really cute; Kids are going to love this video!